Remember when the choice of figures was Airfix or Minifigs and little else? Those days are now a distant, nostalgic memory. We are truly spoilt for choice with a huge range of figures—be they of plastic or metal—produced by a large number of manufacturers. There are scales and sculpting styles to suit everyone. Or, like us, you can field figures from a range of manufacturers and enjoy the diversity. 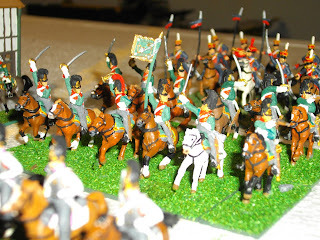 To celebrate this diversity, the quality of figures available and excellent painting done by, principally, Mark, here are a few photos of figures, from different manufacturers, extracted from our Borodino battlefield. So many lovely minis! Thanks for sharing! Yes we are spoiled for choice compared with years ago; nice gallery! Nice looking figures look forward to seeing more. Thank you for contacting us. I have added your blog to the list on ours, so hopefully others in our hobby will "find" it. Yes you may use our photos on your blog. We would be honoured, thank you for asking. Please add a link to say where they come from. Keep going with the painting! The end result is always worth the effort. Děkujeme, že jste se na nás obrátili. Jsem přidal svůj blog do seznamu na naše, takže doufejme, že ostatní v našem koníčku se "najít" to. Ano, můžete použít naše fotky na svém blogu. Byli bychom poctěni, děkuji za optání. Prosím, přidejte odkaz říct, odkud pocházejí. I forgot to say. We use Shako rules. Ours are a combination of the first edition, second edition and our own edits. 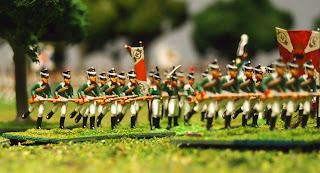 See the posts about them here (http://avonnapoleonicfellowship.blogspot.com.au/p/evaluating-rules.html). We will put more about them on our blog later. (Od Google Translate: Zapomněl jsem říci. Používáme Shako pravidla. Ty naše jsou kombinací první vydání, druhé vydání, a naše vlastní úpravy. Viz příspěvky o nich zde (http://avonnapoleonicfellowship.blogspot.com.au/p/evaluating-rules.html). Your painted minies are really cool! I ll choose some and post them on our blog. Thank you. That would be the Battle of Austerlitz, of course!